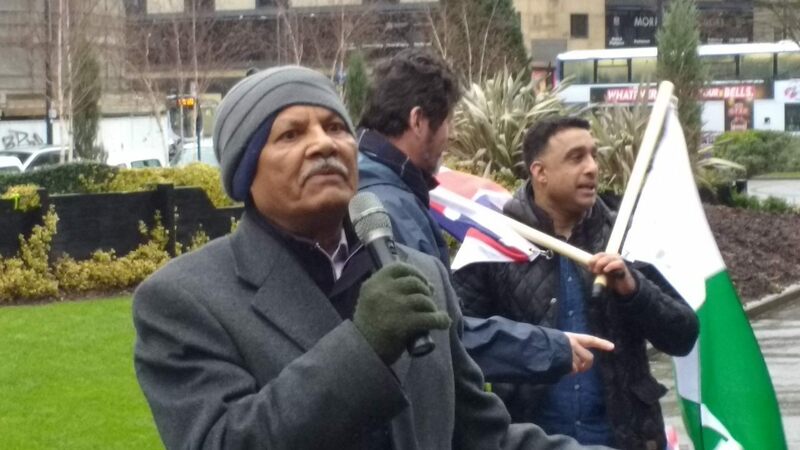 Bradford, ENGLAND – Around 60 people gathered outside Bradford Town Hall in the driving wind on Saturday afternoon in support of Nissar Hussein, a Christian ex-Muslim who was brutally beaten outside his home by Muslim neighbours in November. His attackers believe he is a “blasphemer” for leaving Islam. 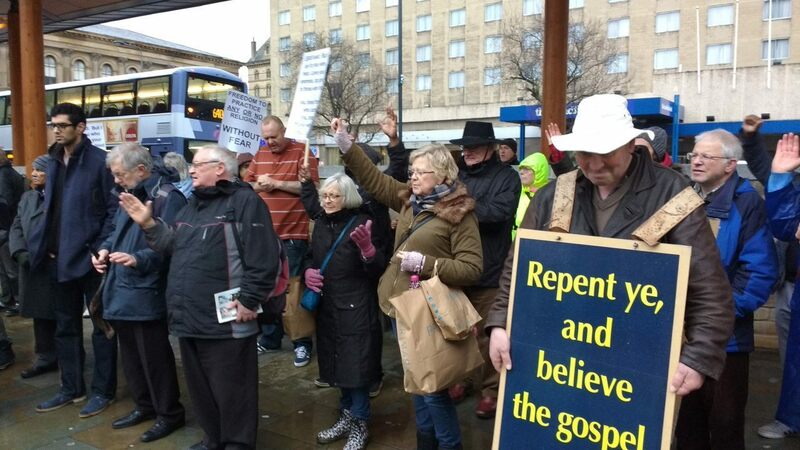 The crowd was addressed by a number of Christian preachers and evangelists, many of whom had traveled from other northern cities. A number of speakers are aware of ex-Muslim Christians who are afraid to speak out about their new faith from fear of persecution. 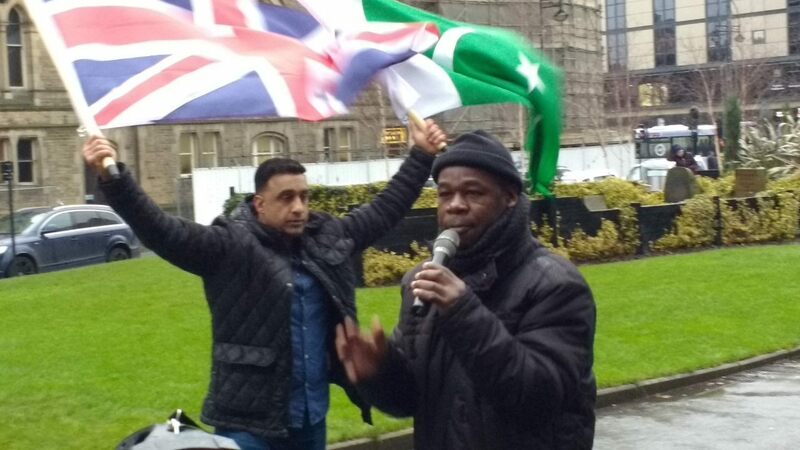 Although the event, organised by the British Pakistani Christian Association was open to people of all faiths and none, the crowd appeared to be exclusively made up of Christians. 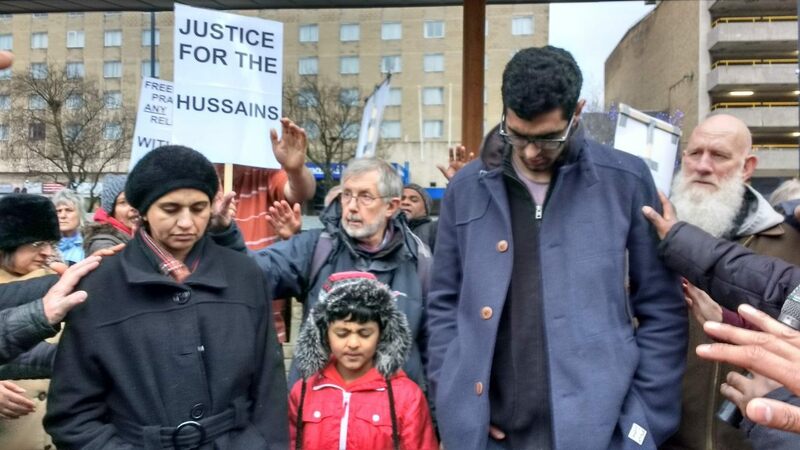 They joined together in prayer and song, praying especially for Mr Hussein’s wife and two of his six children who were in attendance. 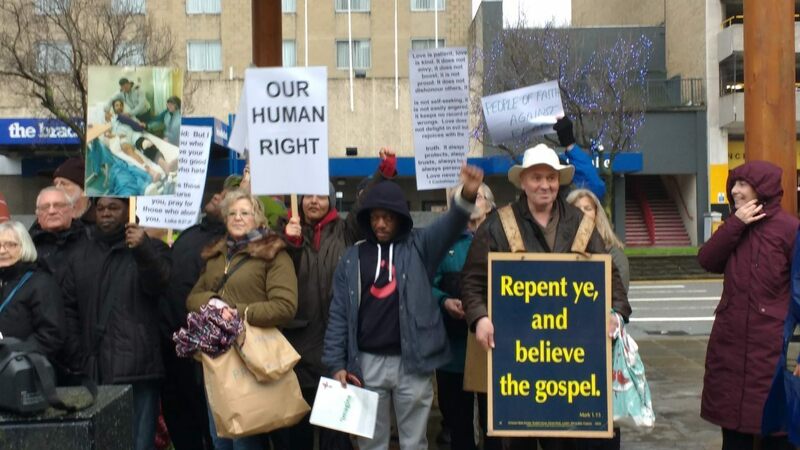 They also want the Home Office to conduct a study into the problem of Christian persecution among minority communities in the UK so that the full picture can be understood, and for a review of existing police and local authority policies, procedures and officers’ training in regards to victims of apostasy. 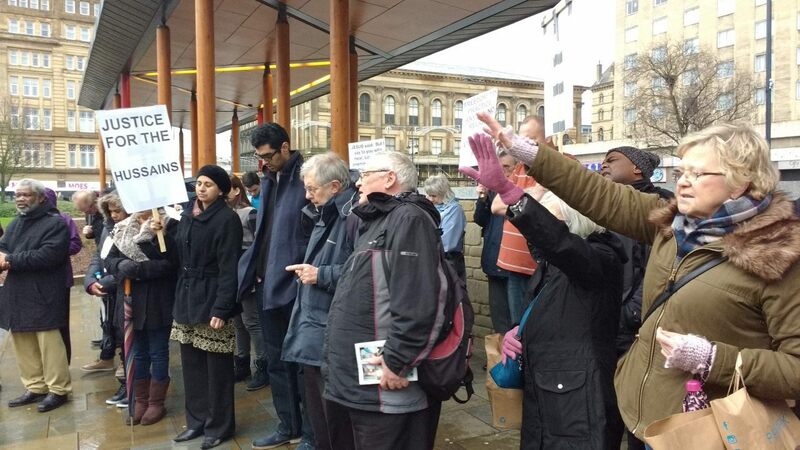 “We as Bradfordians, as brothers and sisters in humanity, reaffirm our right as human beings to choose what we believe and how we live in Bradford, our home. 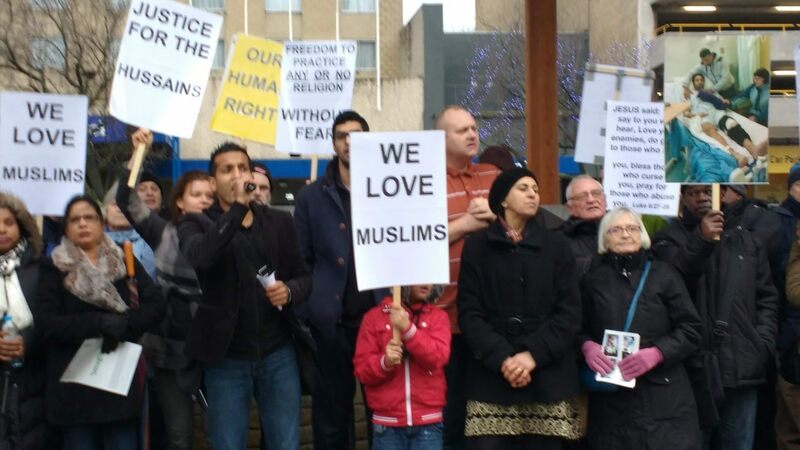 “We stand in solidarity with Bradfordians who exercise this freedom to follow their conscience, and we reject any kind of hatred or violence as a result of their choice. We stand together against any violence that comes from hatred and ignorance of each other’s life choices. 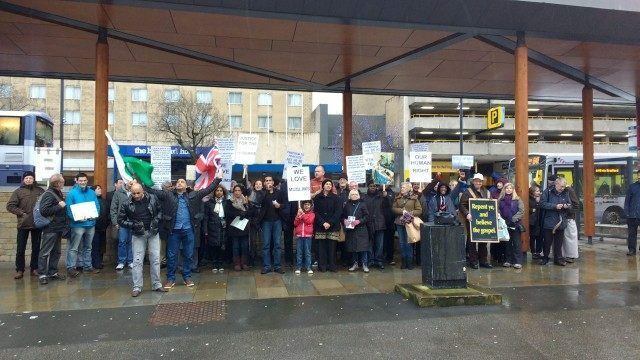 “Recently Bradfordians rejected the hate of the EDL, and today we continue to reject intolerance. “Bradford includes people who have chosen to convert in different ways: from no faith to faith, from one faith to a different faith or from faith to no faith. While we value our own beliefs and convictions, and we are aware of the pain that these choices can cause, we nevertheless affirm that freedom of belief is both a legal right and a God-given liberty.